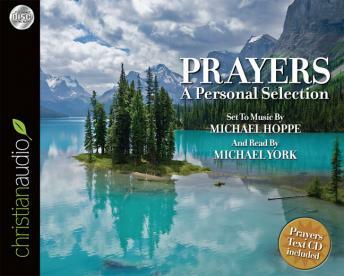 Prayers: A Personal Selection read by Michael York and composed by Michael Hoppe contains some of the most significant and most beloved prayers in Christianity. Our Lord's Prayer, the prayers of both Old Testament and New Testament saints, and some of the most famous Christian prayers are beautifully and warmly narrated by Michael York. These classic devotional prayers are sure to encourage and grow one to greater faith in Christ.